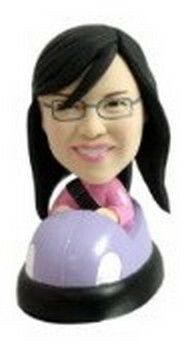 This girl in bumper car custom bobblehead doll looks elated with her new set of toy. She adorns her spectacle to taste. Dream catch for the kiddies.